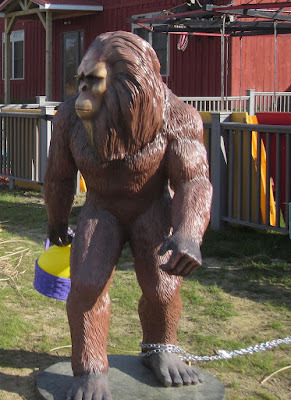 HealingCrystalsJewelryPlus.com: Bigfoot - Do You Believe? Bigfoot, the word conjures up different feelings in people. Some believe, others are skeptics, and many just think it’s a myth. My dear Mother and I used to watch “Finding Bigfoot” on Animal Planet. The crew would go out into wild places with their cameras and recorders. They knocked on trees with sticks and made what they said was a bigfoot yell. This could have compared with a hog calling yell as far as I know. I always thought they were crazy. Not because they were looking for Bigfoot but because they were out in the wilderness where they could come into contact with a bear, cougar, or even an alligator. I used to ask Mom, “What in the hell are they going to do if they come face to face with one?” Safety apparently wasn’t important. I used to ask Mom, “Aren’t you glad I hunt ghosts and not bigfoot?” She would laugh at me. It’s much safer! Since I’m a paranormal investigator I attend the local paracon each year. Every paranormal group is there from the UFO people to the Bigfoot people. Last year I attended a presentation of the SHE Squatchers, a group of ladies from Minnesota. Many of these women are clairvoyant as they “sense” the bigfoot in certain areas. This may sound funny but a lot of what they said made sense. I personally do not doubt that many people have a sixth sense and can hon in on things that the rest of us are too thick to pick up. The question I had was, why would you use this gift to look for bigfoot? 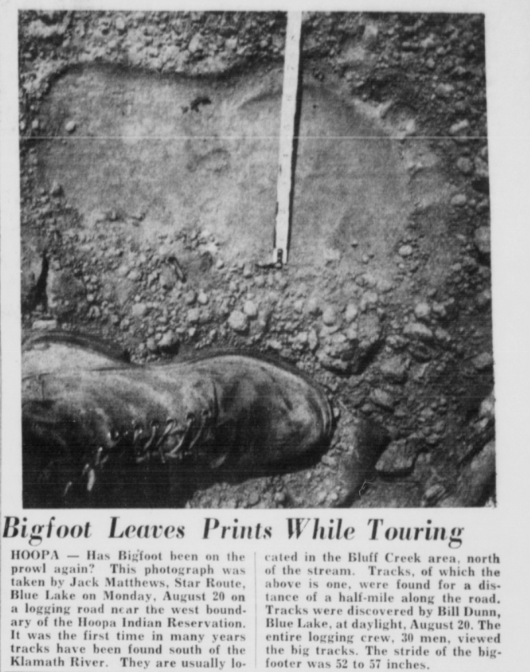 Sixty years ago, bigfoot came to light when a man discovered 16-inch footprints in Northern California. People were intrigued. After years of speculation the family of a man named Ray Wallace, revealed that he had made the footprints as a joke. In 1967 two men, Roger Patterson and Bob Gimlin, filmed a creature walking upright like a human through the same area the footprints had been found. Although this film is considered the best evidence to date, the fact that it occurred in the same place the footprints were found taints it. Many people believe it too is a hoax, but others that have studied it say it can’t be a human due to its gait and body proportions. To me bigfoot is a fun legend. I have seen photos of something that could be a bigfoot but the jury is still out on its existence. My spiritual friends believe that bigfoot is an interdimensional creature. This is why it is so hard to find. This would make more sense to me. If bigfoot is real, it slips in and out of our dimension to do whatever its life purpose is. Then I wonder what its life purpose could be. No one has ever been rescued by a bigfoot or seen a bigfoot chase off a predator sparing a human’s life. So many questions! 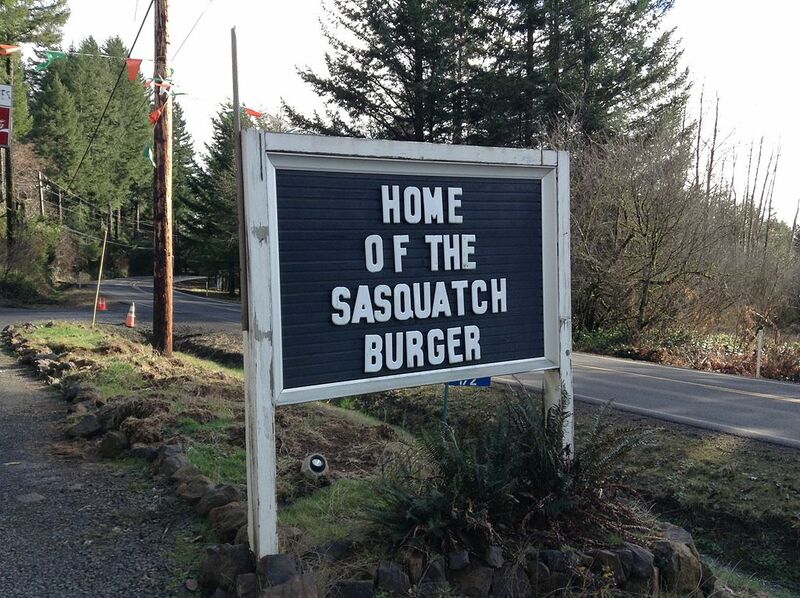 Unless a bigfoot is caught, there will likely never be proof of its existence. There are too many dodo birds out there that fake evidence and post fake photos and videos. The paranormal community detests these fakes and think people need to grow up and stop trying to fool the public. This goes for fake ghost videos too. 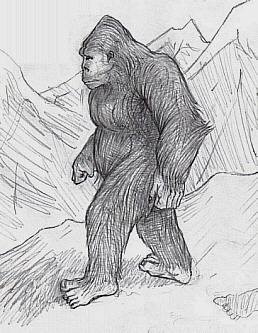 Whether bigfoot is real or not, it is fascinating to think that there are still undiscovered animals on our planet. I know when I drive through a national forest or stand next to a lake or river, I wonder what animals live there. Let’s keep our minds open but also look at things with a skeptical eye. The current popularity of calling things fake isn’t fair to the real news and discoveries that come to light. Stop judging and start thinking and don’t forget to look for bigfoot the next time you’re near a forest.